'Painting from the Collection of the Sheldon Museum of Art' showcases the Sheldon's impressive painting collection, featuring reproductions of 125 major works. In honor of the 50th birthday of the Sheldon Museum of Art's Philip Johnson-designed building and the 125th anniversary of the Sheldon Art Association and the University of Nebraska-Lincoln art collection, Painting from the Collection of the Sheldon Museum of Art showcases the Sheldon's impressive painting collection, featuring reproductions of 125 major works along with smart, engaging entries by a team of respected scholars. The catalog presents some of the museum's most beloved and widely known canvases, including eighteenth-and nineteenth-century masterpieces by Albert Bierstadt, Thomas Eakins, John Singer Sargent, and Benjamin West; iconic pictures by twentieth-century artists such as Edward Hopper, Lee Krasner, Barnett Newman, Georgia O'Keeffe, Jackson Pollock, Mark Rothko, Frank Stella, and Andy Warhol; and works by both emergin artists and giants in the contemporary field, including Dan Christensen, Carmen Herrera, Hung Liu, Ed Ruscha, Patssi Valdez, and Philemona Williamson. 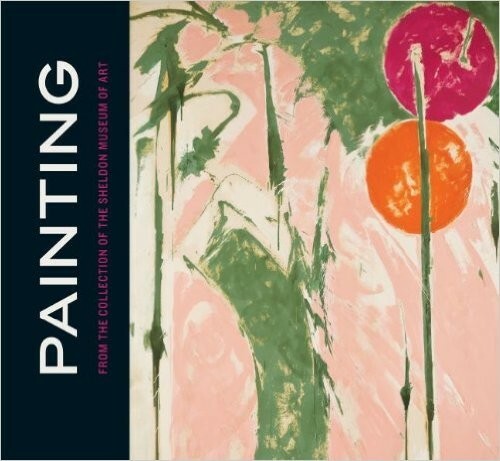 This survey highlights the artistic, cultural, and geographic conflicts and concurrences that shaped more than two centuries of American painting and offers art enthusiasts and scholars alike a means to reconnect with old favorites while discovering new ones - all freshly interpreted based on recent discoveries and research.